Let us be non-mainstream. 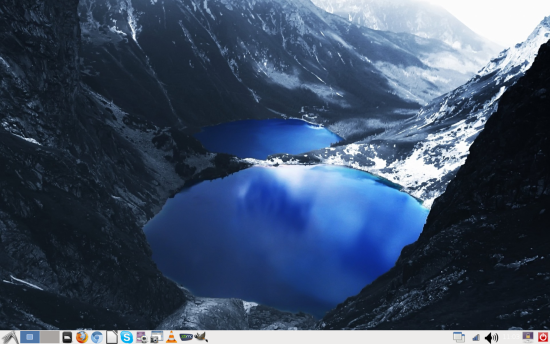 In the world of Linux desktop environments, Lightweight X11 Desktop Environment (LXDE) is not your typical first or second choice. Most people will mention Gnome, KDE, perhaps Unity. You may have heard of Cinnamon and MATE lately, and Xfce is also a solid, longtime niche player. LXDE keeps slipping under the radar. The thing is, without decent financial backing by the big names, it is very hard creating and maintaining a robust and bug-free desktop environment that can address the needs of the common user, if a Linux user can ever be classified as common in any way. Still, deviating from the usual formula is very tricky, and few distributions manage to balance beauty and functionality well. And the more exotic the desktop environment gets, the more difficult the challenge. For example, in the world of Xfce, Dreamlinux was one of the few players to tackle it properly. Even the big shot struggle, Gnome 3 and KDE being no exceptions. 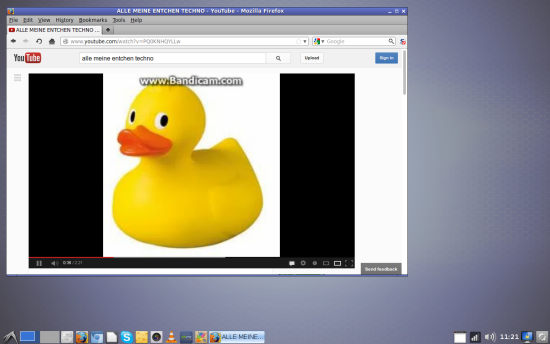 So what happens when you take LXDE and skin your desktop with it? I am not a novice when it comes to LXDE, but I have used it on very few occasions, so the experiment will definitely be a new experience for me. The installation is quite simple. Most distributions feature the environment in their repositories. 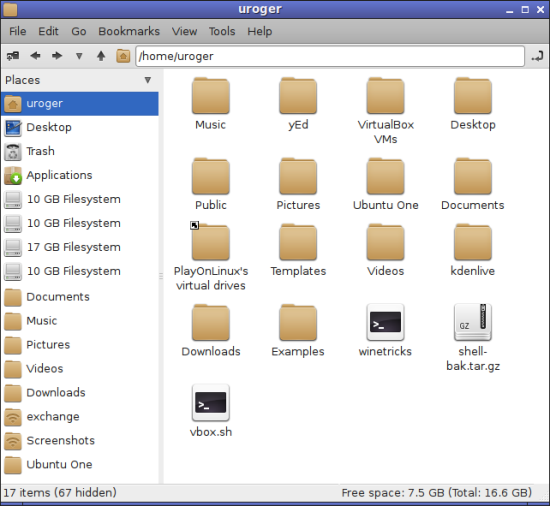 You get the usual set of necessary libraries, plus some programs that are unique to LXDE. Most desktop environments do this; they try to set themselves apart by packaging their own programs, which are considered lightweight and useful alternatives to mainstream software. LXDE does not look too dramatic when you first open a session, and this is a big problem, in my book. The fact you advertise your environment as best suited for old, weak hardware and whatnot does not have to be mutually exclusive with aesthetics, good looks, appeal, or anything in between. 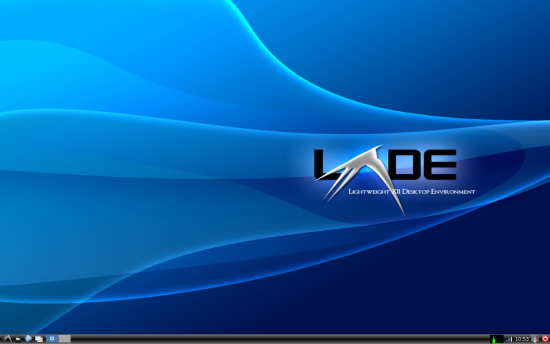 The wallpaper is blue-black, but sort of archaic, the LXDE logo is unnecessary, and the bottom panel has an ugly gradient, plus it comes peppered with a few uneven icons that make you feel somewhat bored. I decided to see what I can do from the artistic perspective, before digging into the actual functionality. Configuring LXDE is rather easy, but it sins the old sin that used to plague Xfce, and that is, lots of configurations and options spread all over the place instead of being focused in a single central location. I started fiddling with the panel first, then moved to change the basic set of shortcuts adorning the left side of the panel, the wallpaper, the icon set, and finally the theme. To this end, I had to use some three or four utilities, some of which are not very intuitive. To make things worse, LXDE uses some of the themes and elements borrowed from Xfce and Openbox, adding to the confusion. Anyhow, step by step. 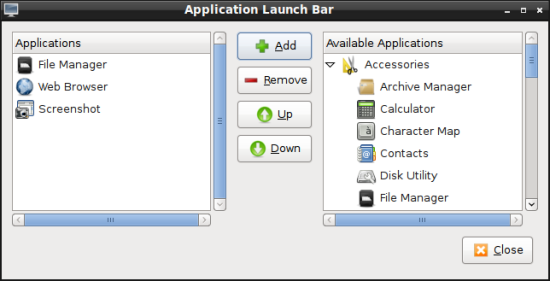 If you right-click on the icons displayed in the left corner of the panel, you can customize the Application Launch Bar. It will display all menu items, and you can add and remove them, as well as shuffle them up and down. Then, click anywhere on the panel, and you can change its height, background color, and sort the elements in the system tray area to the right. Removing the screen lock icon without removing the system shutdown button is not possible, as the two form the same unit. This is a bit annoying in my book of OCD legends and myths. Next, I played with desktop wallpapers, but they mostly clashed with the bottom panel transparency. Go for dark colors, and you can’t see the volume icon, which, by the way, is not shown by default. Then, some shortcuts might also not be visible. Go for light colors or solid white, and the clock is hidden. I realized that LXDE requires simple wallpapers, with two-tone color gradients. Then, I fired up the the system look & feel applet and began customizing in earnest. 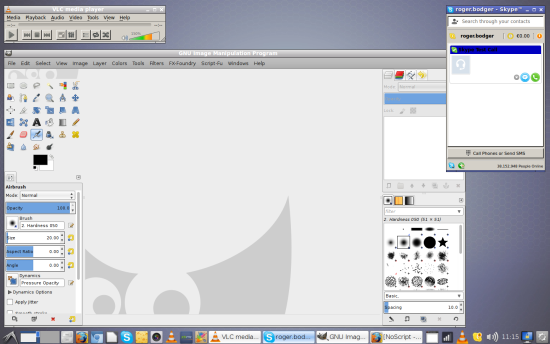 The nice thing about LXDE is that it can use Gnome icon themes easily, much like Cinnamon. But what about the theme itself? And window borders? This is trickier, and I could not find any menu utility that matched my need. 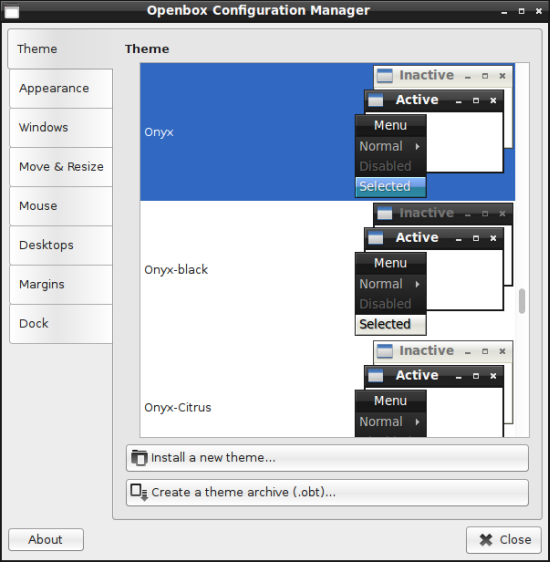 However, when I right-clicked on the pager, in order to adjust the number of virtual desktops, it actually fired up something called Openbox Configuration Manager, which lets you do just that. The changed theme still resides within the strict, somewhat squarish limits of the LXDE aesthetics. When you combine the icon set, fonts and the changed window border, you do get a decent package. Take a look at the PCMan File Manager; very minimalistic, displays items based on their date rather than name, but it does respect network-based shortcuts. Looks ok, so what now? All right, here’s the punchline. The fact a lightweight desktop environment exists does not mean you are in any way restricted to running its own program set or not using it on high-end machines. The whole idea is for the desktop shell to be light on memory and CPU, thus responsive, allowing you more free resources for your software, which is what desktops are all about. In my case, I used this test box, with a dual-core CPU, a generic Intel graphics card, 2GB RAM, 2GB swap, and two 40GB SSD. Not exactly the top end hardware, but surely not an old Pentium II or suchlike. Therefore, it is somewhat difficult to judge how flexible the environment really is on the very far end of the spectrum, but it sure offers some interesting comparisons to other desktops running on the same machine. In that regard, LXDE did everything. First, it ran both Gnome and KDE programs without any hitches, sans some visual ugliness. Then, there were no problems with the hardware. The special laptop function buttons worked as expected, all of them. Suspend & resume was not harmed in any way. In that sense, LXDE merely enhances the existing set with its own visual layer. As you have noted, I did not tell you which distribution I was using, because it does not really matter. But for the sake of fun, it’s Ubuntu 12.04 Precise Pangolin. My Ubuntu, now become sort of Lubuntu, behaved well. 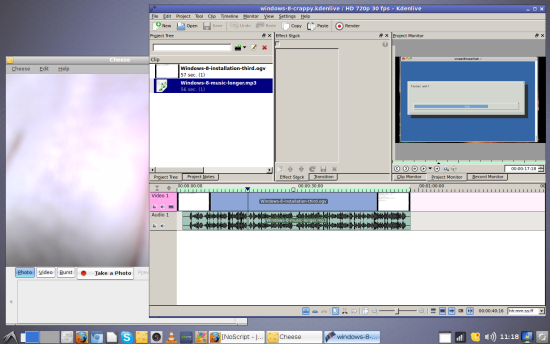 LXDE had no problem with the Cheese webcam, Kdenlive, GIMP 2.8, or even Skype, including the system tray integration. Likewise, none of the multimedia functionality was impacted in any way, which sometimes happens when you splat a new desktop interface onto your system. Now, what about the system resources, as advertised? Well, here’s the rub. I can’t say what happens when you only have a handful of MB of RAM, but the lightweight factor does not make that much of a difference on any decent hardware. True, my test machine is hard from being decrepit and weak, which sort of erases any advantage built into LXDE. On the other hand, it was fairly tame and calm with 330MB of RAM and little to no CPU background activity. Swap was not mounted and used at all, and I had to manually turn my swap partitions on. In this regard, LXDE offers performance and responsiveness that is comparable to most other desktop environments, with some small advantage over the big players, like Unity and KDE. However, when stacked against the likes of MATE or Gnome 2, there’s little to no noticeable difference. So it becomes the simple matter of taste. If you ask me, does LXDE merit usage? The answer is, yes. It does not harm your productivity in any way, it merely slightly rearranges the way your desktop looks and behaves, but it’s a minor change. You are not hampered in the way you use your programs, which is the most important bit. You can still keep on using all your Gnome, KDE or other software, and they all blend in without any hassle. On top of that, you get decent looks after some minor home improvement, and reasonable performance that should scale well across the board of your devices. LXDE is an interesting desktop environment, and probably unfairly neglected. The competition is indeed tough, and with Xfce, Gnome 2, MATE, and Cinnamon fighting the lightweight war so well, LXDE does have to look for innovative ways of staying sharp, beautiful and frugal. Perhaps it comes down to measuring the percentage of battery drainage or the total of wasted CPU cycles. But for most people, there’s quite a bit of leeway. Still, LXDE is decent, good-looking and fairly fast, plus it maintains a traditional approach to computing, so there’s no reason you should not take it for a spin and see what it can offer you. Igor Ljubuncic aka Dedoimedo is the guy behind Dedoimedo.com. He makes a living out of his very hobby - Linux, and holds a bunch of certifications that make a nice pile in the bottom drawer. I L-O-V-E LXDE. I run PCLinuxOS’ version on a amd64x2 processor w/1GB ram. It flies like lightning, and with deactivating a few unneeded startup processes, I run at 160mb memory. It does take a bit of learning to get the most out of this DE, but it is the best I have ever used, and I came from a Gnome/KDE background. Just add export GTK2_RC_FILES=”$HOME/.gtkrc-2.0″ to your .xinitrc so Qt can pick up the current GTK2 theme. 330 Mb of the memory usage aren’t LXDE’s fault in any way. It’s the underlying system (Ubuntu, perhaps?) who eats most of it. Try installing, say, XFCE or Mate on the same system, and see that any of them will consume at least 50 Mb more. I’ve seen Debian installation with LXDE, where the memory usage (after boot and login) was less than 100Mb. Yes, but then the comparison is to other desktop environments on the same hardware, which could give some indication how LXDE scales against its rivals. Agreed. It only makes sense to compare different DE on the same hardware and the same underlying system. When I did exactly that, I found that LXDE consumed significantly less memory than all mainstream desktops: XFCE, Gnome 3/Cinnamon, Mate, KDE… Although a bit more than Enlightenment or bare-bone Openbox. Don’t have exact numbers, unfortunately. Yes, if you have 256mb of RAM in your system, it will use around 100mb or less. If you have plenty of RAM like 2Gb (or you run a Live DVD session), the system use the extra memory for caching things in memory to improve performance. Don’t blame Ubuntu. E17 boots on Ubuntu to sub 100MB of RAM. 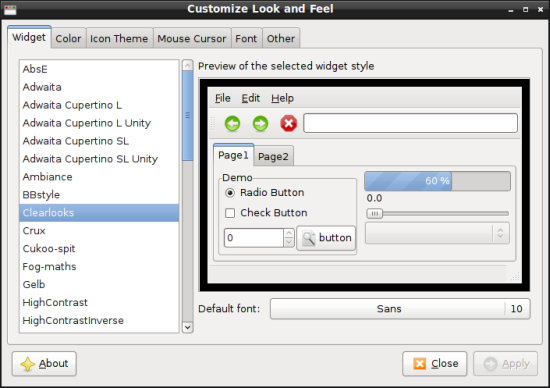 > Go for light colors or solid white, and the clock is hidden.Clock color is customizable in Panel Settings > Appearance tab > Font > Custom color.> PCMan File Manager; very minimalistic, displays items based on their> date rather than name.Also customizable in Menu > View > Sort Files (by Name, Modification Time, Size and File Type).My LXDE on Ubuntu Precise 32 bits and with two panels idles at 136 MB. On 64 bits could be about twice. Clock color is customizable in Panel Settings/Appearance. File sorting in PCManFM is also customizable in Menu/View/Sort Files. My LXDE on Ubuntu Precise 32 bits and with two panels idles at 136 MB. On 64 bits could be about twice. (Rephrased and reposted for legibility’s sake). One more comment: To say that LXDE offers only “small” performance advantage over KDE (or Gnome to that effect) seems highly understated. In my test case, yes. In general, I did say I did not have low-end hardware to really put the environment to an extreme case test. Most likely because you system is cluttered, so much so that it idles at 330 MB. Remove clutter and you will see LXDE’s huge performance advantage over KDE, Gnome 3, Unity and even MATE, on new and old, high-end and low end systems. By the way, it is useless to say at how much GB your system idles without specifying if it is a 64 bits or 32 bits distribution. The lightest I have is T42 with 1.5GB RAM, and I need to find it somewhere. I do not foresee any problems running it there, though. Perhaps my netbook with 1GB RAM, but then not sure if it’s netbook optimized. I tried LXDE and like it a lot. Can you please help for these questions? Q2. PCManFM, I select some files & folders in the right pane. How to copy these by drag & drop from the right side to another folder on the left pane (which displays the treeview)? 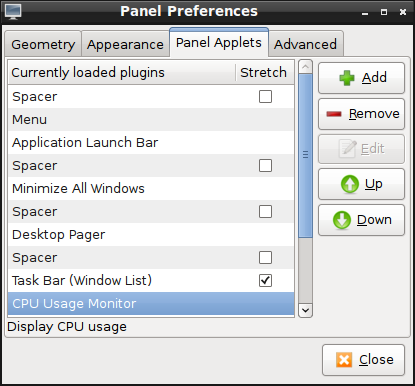 The system monitor is Ubuntu’s standard one. Did you try opening two file managers and copying between them, or you tried moving files into the displayed mount points on the left? Q1. I am using Lubuntu 12.10 32 bits. When I select System Tools / System Monitor. A window named “Task Manager” is opened. The About says “LXTask 0.1.4. 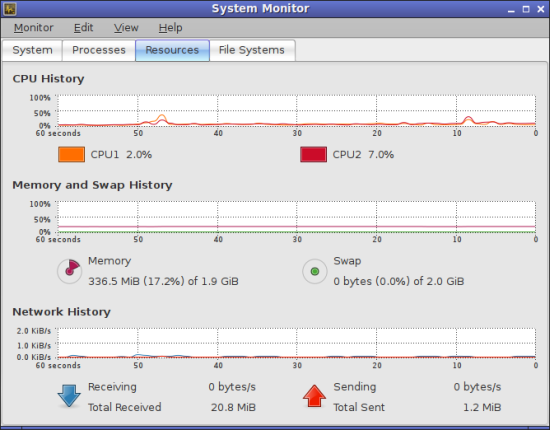 It doesn’t look at all like the System Monitor in Gnome. Sorry I cannot send you a screenshot because there is no screenshot utility in Accessories. Q2. Here’s a simple example. The current folder is ~/Downloads. I select a file named BogusImage.png and I want to drag & drop it to the left pane on the home/myusername/Pictures folder. The Pictures folder was already there, there is nothing to mount. All I want is to drag & drop a file on that Pictures folder in the treeview (left pane of the SAME PCManFM). The way it works in Windows, Gnome, XFCE. I believe it doesn’t work with PCManFM. Of course, if I open two PCManFM then the drag and drop works OK, but it’s not very convenient. I tested some more, and did not find a way to drag & drop inside a single PCManFM. Perhaps someone knows of a handy hack for this? Try PCManFM-Mod .It supports drag-n-drop in sidepane. I didnt test it personally though. Did you try the PCManFM-Mod ? It supports drag and drop to the side pane. It’s there in the standard PCManFM (there is a small icon for opening a second, third, fourth.. whatever.. window as a tab. You then drag from the main window to the tab of whichever other window you want to drag to, which then opens for you). I’ve also seen PCManFM criticized for not having the network functions that Nautilus has… which I have also found to be totally incorrect. I say this having tried it on Lubuntu. Also, the notes above about the memory use: yes, blame Ubuntu. Lubuntu, as I have loaded on an Acer netbook, comes in under 200 mb and typically 0 to 3 percent CPU usage. This is a fraction of a standard Ubuntu install and is due to all the services and processes in the full install. The plus here is not just speed, but also extended battery life. The choice between visible clock and volume control is a legit criticism… also affects weather apps and wireless indicator. LXDE is a perfect desktop, and saves users from the nonsense of Unity or Gnome 3. KDE is too Windows for my taste. +1. Only practical disadvantage compared to MATE is that LXDE is unable to make 2 top panels. 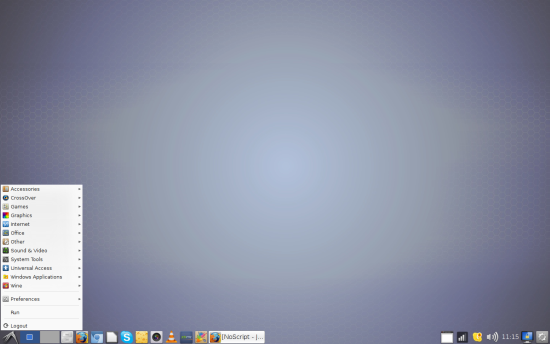 Xfce is functionally perfect, but the panel icons are so unaestethically small and cannot be tweaked. MATE is functionally perfect too, and the best looking to my taste, followed by LXDE, which is the fastest. LXDE Works shining fast with my old and new Atom netbooks, also with a single core Celeron M 350 (idling at 79MB with LMDE 32 bits), and acceptably even with a paleolithic AMD Geode 512MHz CPU 512MB RAM netbook. Unity is cute, but eats too much memory and takes too much horizontal real state from my low resolutions displays (love the smoothness of 800px 600p and 960x600p, hate high-resolution harshness). KDE 4 is just painfully sluggish (one day I’ll try Trinity) and, much worse, Gnome 3, literally a non-starter. Just a few days ago i read another Igor article, praising XFCE and his new foumd love for the DE. Now this well written piece about lxde. This whole UNITY-Gnome shell thing has thrown many linux lovers among to be on a constant hunt for alternative DE’s and we are finding gems among forgotten ones. On my old Pentium III Sony Vaio (1200 MHz, 495 MB RAM) with Lubuntu 10.04 uses 64 MB of 495 after logged in, with no programs running. It boots within one minute (pressing power button to opening autostart Chromium with homepage). LXDE is the only chance to use this laptop, With Ubuntu boot time was far more, almost 2 minutes, and with XP it takes more than 3. So my little son still can use his laptop, thanks to LXDE. One advantage of LXDE is how easy it is to make keyboard shortcuts (provided you aren’t afraid of editing a text file). And the gizmo for changing between applications (“client list combined menu”) is awesome. You see all windows with their titles in a compact list. I’m a software developer with an i3/6GB RAM system. I love LXDE because it’s consitent, simple and doesn’t suprise every 3 months with a stupid UI “enhancement”. It’s just a solid environment in which I feel the most productive. Pantheon Shell, which is the newest Linux desktop environment, is a respin of GNOME Shell minus all the bloat. It works very well on low-powered PCs – it could give LXDE competition – quite simply the most elegant version of Macbuntu I have ever seen. In my case (2GB of RAM) LXDE (Lubuntu!) after boot eats about 200MB. And I’m running Synapse with some background services being permanently active. From the other hand, I’ve deactivated some services I don’t use. I was using Gnome and XFCE before and from my perspective LXDE is MUCH faster. Now I’m using Lubuntu on both old PC (512MB RAM) and laptop (2GB). In both cases it runs like a hell. I love this desktop. it runs well on my pc from 2001. By the way you may not know it but at least in lubntu you can change the colour of the clock. You kow they did change it around a bit with task bar etc. I am not too fussed about looking beautifully as long as it doesnt look like windoof 8 (or 7) and working well. to be more precise- it uses about 150 mb ram on my pc that has 512 mb ram(i upgraded the Ram at some point as it was not able to facebook anymore without crashing(back when it had xp) it has got 998mhz processor so that one is only having probs when theres a script non responding. I eat LXDE with my Raspberry Pi. I love it too. I’ve been using LXDE with PCLinuxOS on some ancient systems to still give them life since Windows XP support goes totally bye-bye in April 2014! No way will these machines support anything later in the Windows world. Also it seems to have the easiest learning curve for someone coming from a Windows background, great in the office where I have computer users, but not necessarily computer savvy users. Works great, less filling in 384-512 MB memory machines. Just right out of the box and a couple of tweaks and they’re ready to go. After testing the LXLE Paradigm spin, the excuse for shunning LXDE is gone. A beautiful desktop, with FOUR separate desktop environments, a control center and stunning wallpapers! Boring and unimaginative? Hardly! And now you can indulge your fancy in a desktop without ever leaving LXDE!